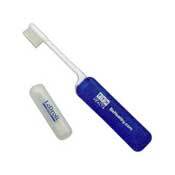 Toothbrushes are an excellent promotional item for your business. It shows that you care about your customers well being. A custom toothbrush can be printed with your business name and logo. 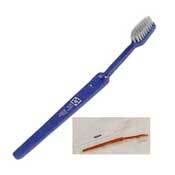 We offer a wide variety of toothbrushes for every need that can fit within your budget. Dentists shouldn't be without their own custom toothbrush. What better way to market your service or private practice than to provide your clients a free toothbrush with your name and contact information. Your clients will always know where to find your contact information with your custom printed toothbrush. You can get a custom toothbrush for every dental need too. 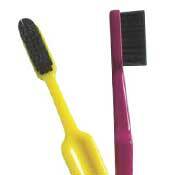 We have toothbrushes with soft bristles, post-surgery bristles, flexible necks, and contoured grips. 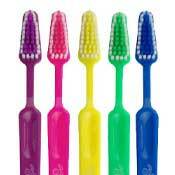 All our toothbrushes come individually wrapped in plastic and come in a variety of different colors. The wrapping is great for taking custom toothbrushes with you to tradeshows, conferences, or networking events. Looking for a way to advertise during the holidays? 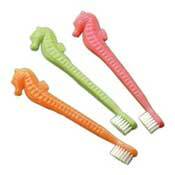 Check out our holiday toothbrushes. These toothbrushes come in a color scheme specific to the holiday and are a basic brush so you can market during the holidays within a small budget. Every toothbrush we offer complies with ADA standards to ensure a comfortable brushing experience. 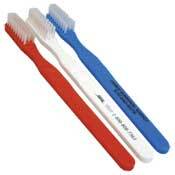 So order today and get your custom printed toothbrushes for your next marketing endeavor. Have questions? Feel free to call us at the number above to speak with one of our friendly customer service representatives, or, click the button on the left to get more information.